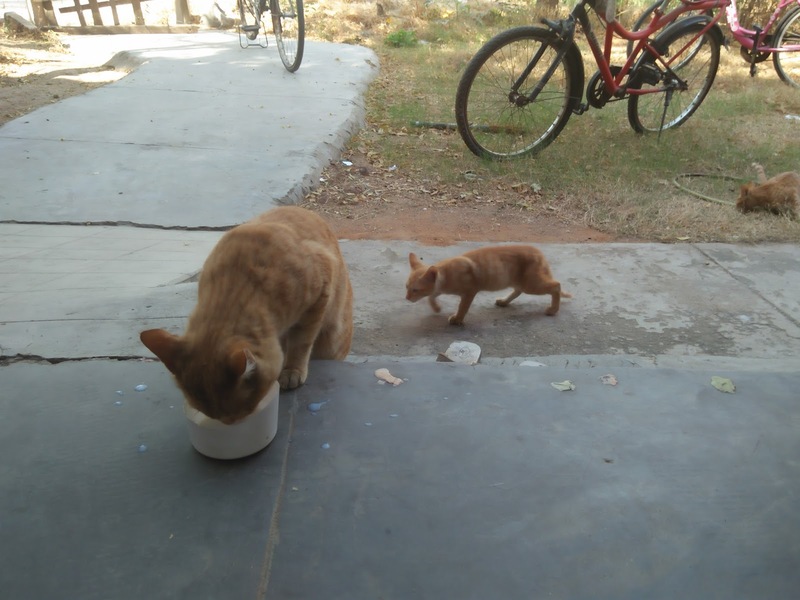 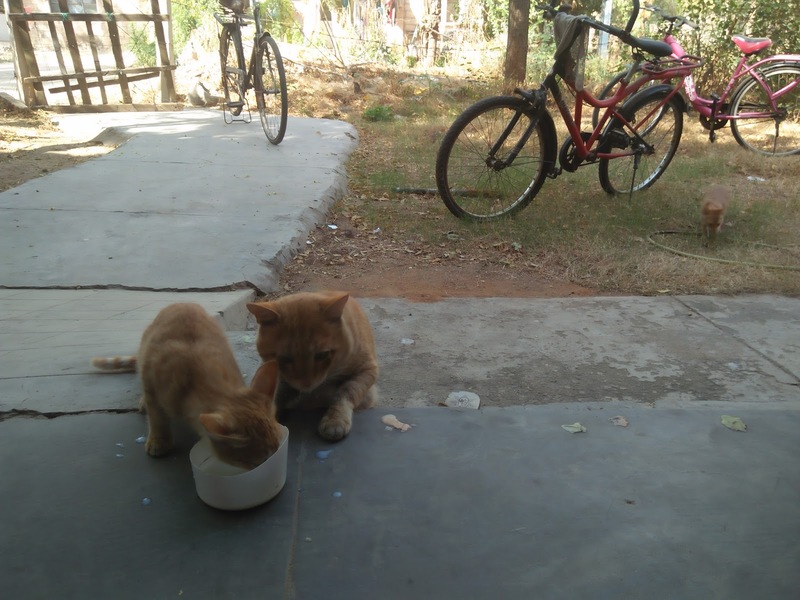 During the winter vacations of my eleventh standard a cat 🐱 family use to come to my house daily, a mother with her two children. 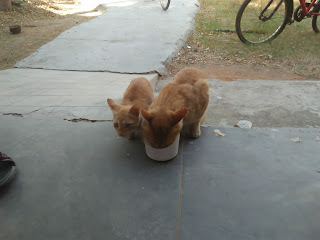 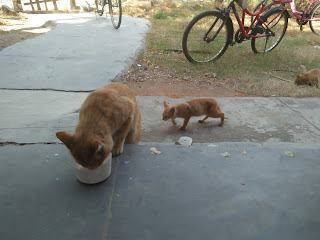 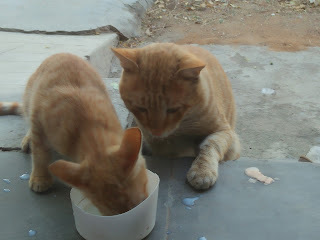 Everyday I use to give some food to them. 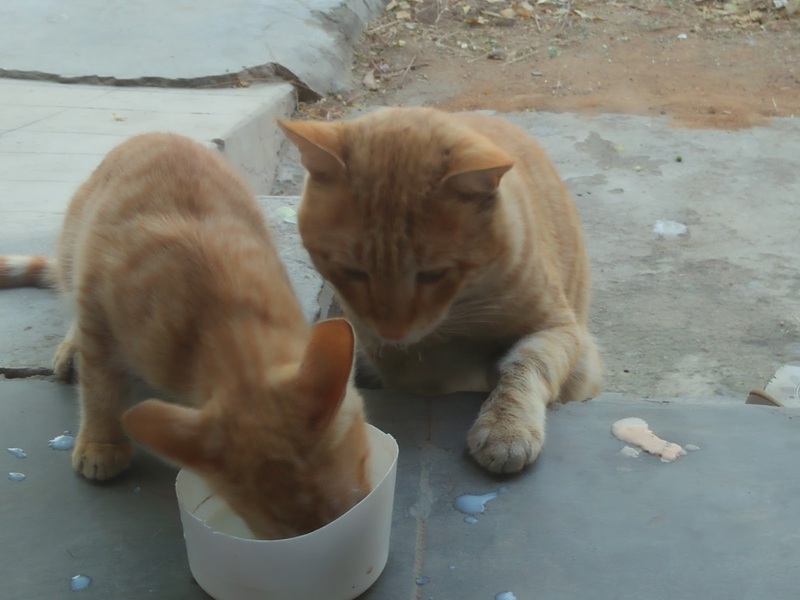 On the New Year Day I gave them a bowl of milk, they drank it with lots of joy. 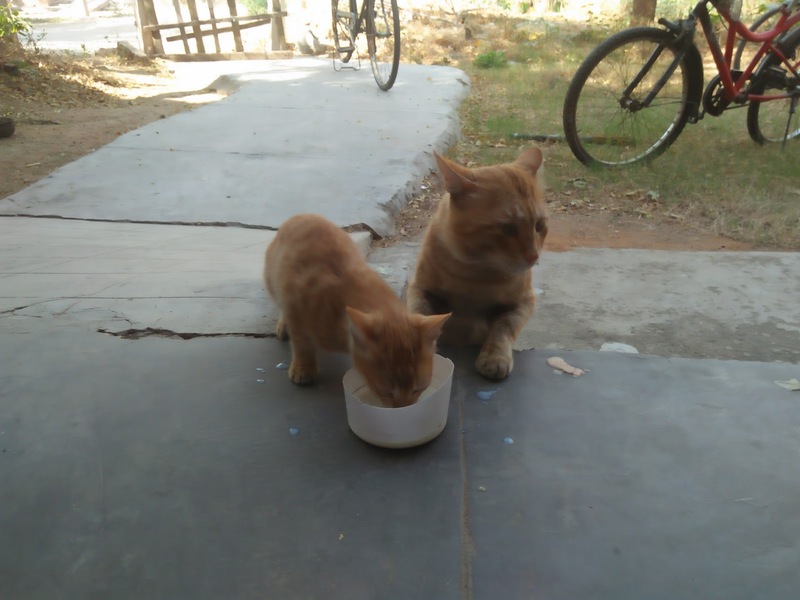 Firstly the mother was drinking then one by one her two children visited here.